We dropped out of Montana into Wyoming and Yellowstone. We came in the north entrance, left through the south entrance to go to see Grand Teton range and then left out the west entrance for Cody and points east. 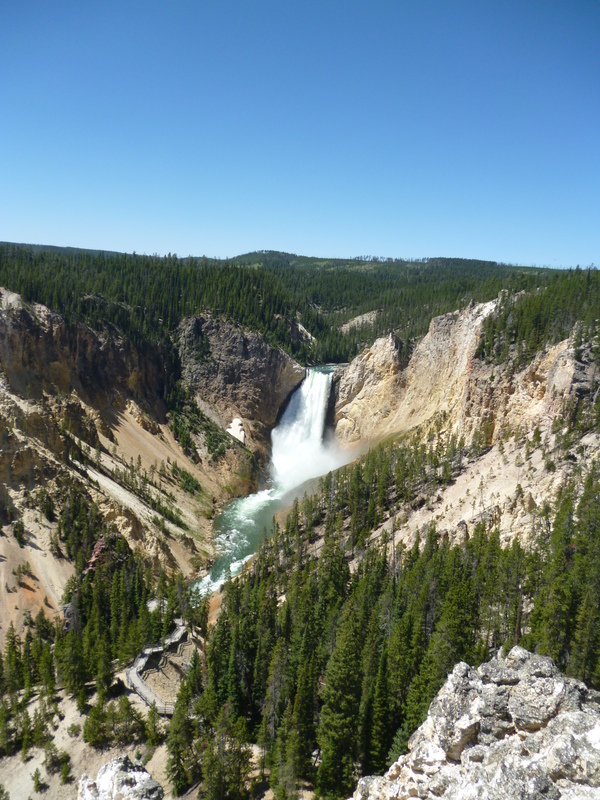 Yellowstone is huge and unfortunately its set up for driving around. We decided to be different and hike the canyon area during our trip there. 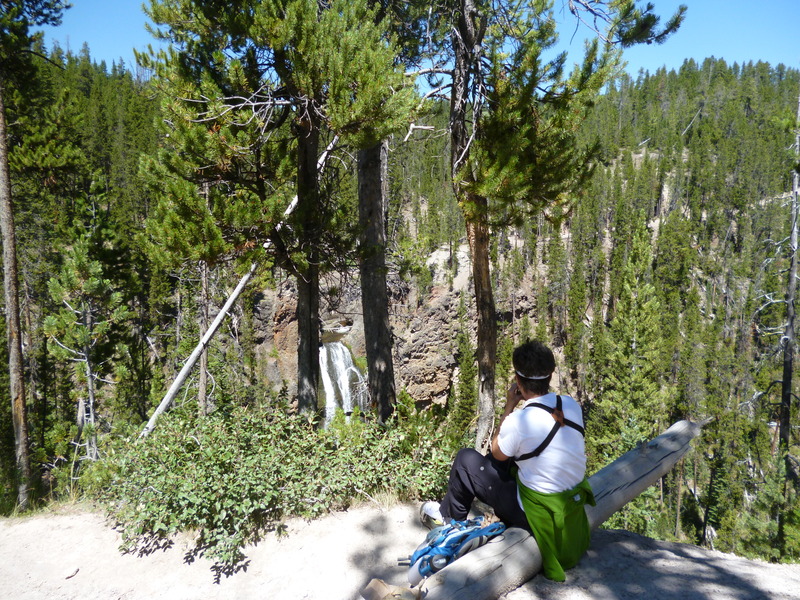 We hiked from the campsite to the falls and back since parking the roamer in the small lots gets interesting. Stopped for a good lunch spot along the way and saw a really neat osprey nest in the rocks. Also had a couple of good drafts when we got back to the lodge. Yellowstone is a pretty amazing place. Every turn offers a more beautiful vista of a totally different type. 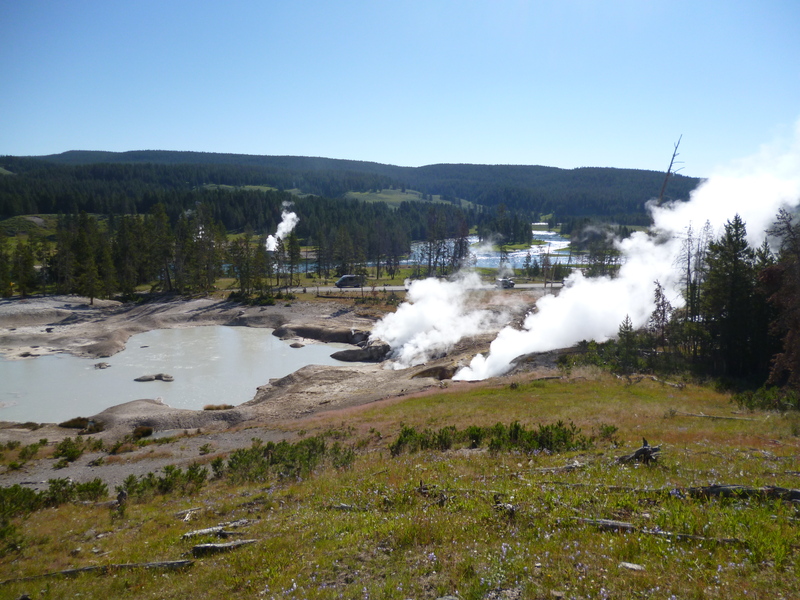 These were the thermal vents that seem to be all over the park. 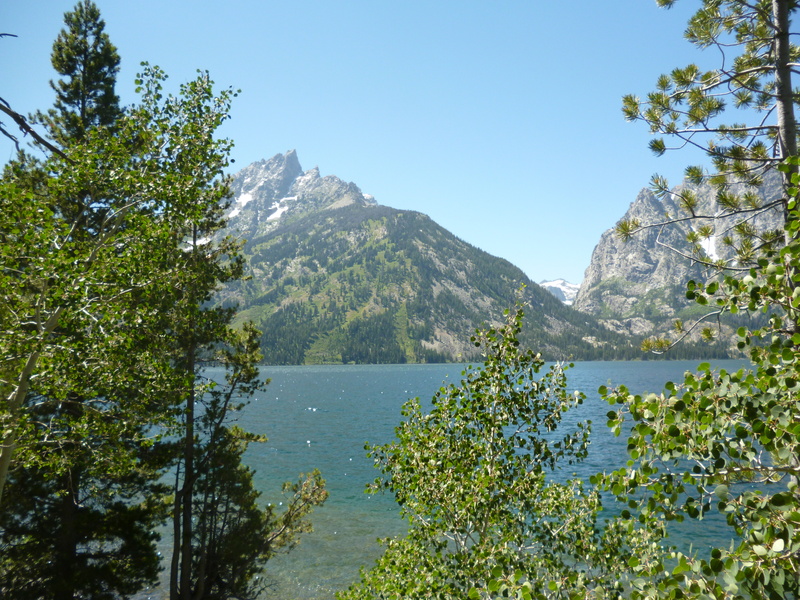 We dropped down towards Jackson and saw the Grand Teton range. Never realized there was a huge lake at the base of the range. Thinking more about owning a boat now and pulling it behind the Roamer. We then pointed the Roamer east and headed for Cody. We stopped in the Wild West Museum there. Huge place with a lot to see. Their gun collection was amazing. 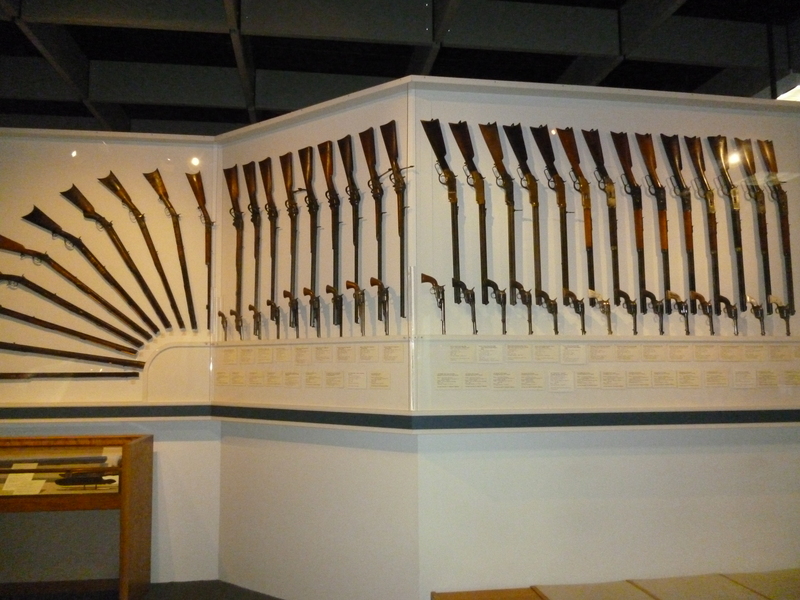 This is a fraction of the guns that were in the place. (add picture later wi-fi is dead). Camped in the forest east of Cody after climbing a huge hill. The sign said “steep grade”, but it was only because they don’t make “100% grade” signs. Thankfully the Roamer has plenty of power and it was a lot cooler in the trees. We visited the Medicine Wheel on the top of the hill. No pictures were taken because there was a prayer ceremony within the wheel ongoing. It reminded me of the pictures of Everest Base camp – pretty neat.